The first ever Chick Lit book I read was Water Melon by Marian Keyes. I loved it! The premis of mixing humour with darkness has inspired me greatly in my own work. I like being able to convey a deeper message in a lighter way. I actually call my writing “Chick Lit with a kick” as it is far from light and fluffy. My intention is for my readers to laugh, cry and swoon in equal measure. I don’t get as much time to read as I’d like at the moment, but I like reading real life drama with relationship dynamics. Patrick Gale is my favourite non Chick Lit writer. His characters are complex and interesting. I literally read his books in one sitting. The Bow Wow Club is my latest book. It is about thirty something Ruby who after a shocking bereavement at such a young age begins to question whether or not she will ever be happy again. Encouraged to face her demons she volunteers at The Bow Wow Club (Boyfriends of Widows, Wives of Widowers). Handsome author, Michael Bell throws a love interest in to the mix, plus a dark family secret adds to her confusion. It is full of darkness and humour, but basically conveys how love in all its glorious forms ultimately pulls her through. I actually dated a widower, which at times was very challenging. The complexity of grief and how it manifests itself is not talked about enough, nor is death. I also lost my mother when she was just 41 and this has most definitely affected my whole life. So, I wanted to tackle this subject in the form of Chick Lit and hopefully help people who themselves were going through a bereavement. Yes it is the sequel to Working it Out, where Ruby gets made redundant and decides to undertake twelve jobs in twelve months until she finds the one of her dreams. Who designs your covers?My friend Steve. I pull off images from stock photos on the internet and he puts the design together. If your latest book was made into a film, who would you cast?I have a lot of friends who are very talented actors. The industry is so hard to excel in that I would make sure that some new faces were put on the screen. What’s your favourite Chick Lit book that made it to the big screen?It has to be Bridget Jones of course. 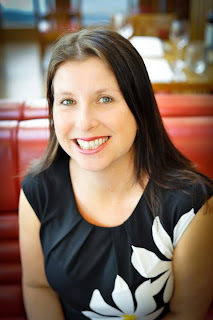 Name one Chick Lit author who you think deserves to be better known.Am I allowed to say me? 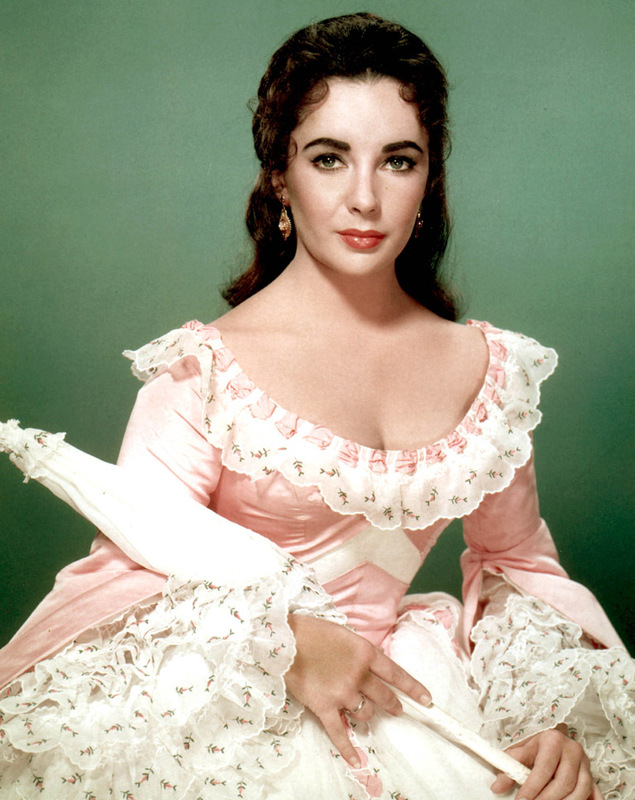 A young Elizabeth Taylor please. Award winning author Nicola May lives in Ascot in Berkshire with her RSPCA mad cat Stanley. Her hobbies include watching films that involve a lot of swooning, crabbing in South Devon, eating flapjacks and enjoying a flutter at the races. 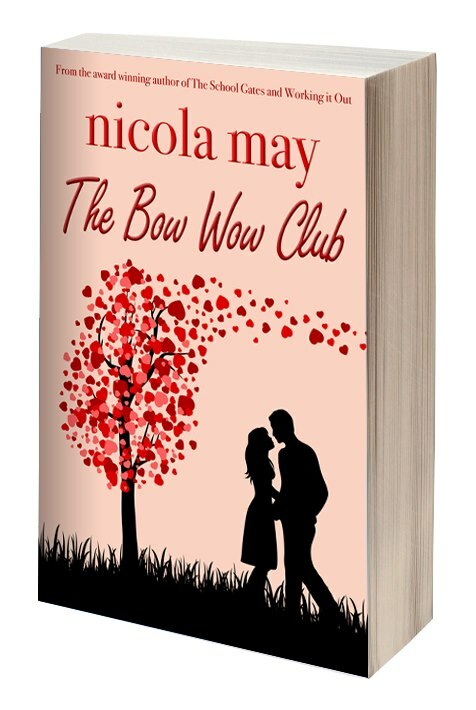 The Bow Wow Club is Nicola’s fifth novel. She is currently writing the sequel to The School Gates. Lovely interview. 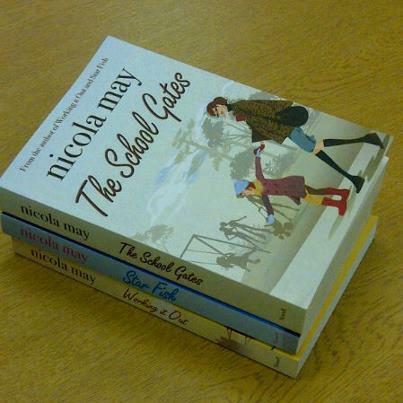 Enjoyed finding out more about Nicola.